Former Williams chief technical officer Pat Symonds claims Formula 1 is looking at ways to change how the grid is formed ahead of each Grand Prix. Symonds was appointed to Ross Brawn’s panel to help put together the technical regulations and rules for 2021 and beyond earlier this year. Symonds has been speaking about the future of F1 at the MIA’s Entertainment & Energy-Efficient Motorsport Conference in Birmingham, revealing e-sports could be use to trial proposed changes to the grid. He believes virtual environments will allow F1 to test regulation changes before they’re introduced in the real world to see what impact they could have on races. One aspect of the grid being considered is the staggered formation. Currently, the driver on pole position starts slightly ahead of the driver starting from second place, rather than directly alongside them. Symonds claims e-sports could be used to trial the start of 20 races without a staggered grid to see how altering the formation would impact the opening laps of a Grand Prix. Symonds, who has also been working as a TV analyst over the last year, believes getting rid of staggered rows could make racing more exciting in the opening few laps of the race, or could end in a massive first-corner crash – testing the idea in e-sports first would allow the panel to see which outcome is more likely. Symonds hopes testing these kind of changes in a virtual world would prevent the problems encountered in 2016 when changes to qualifying were made and quickly abandoned. F1 brought in a new system which saw the slowest driver drop out every 90 seconds, but the format was blasted by fans and teams who struggled to follow the action. Those changes lasted just two races before the previous qualifying format was brought back in. The former Williams man says there was no simulation of that system beforehand, meaning no-one knew how it would play out on track. So why does F1 want to change the grid? Well, as things stand the pole sitter has the advantage of a shorter run to the first corner, helping the best qualifier convert Saturday pace to race victory in 11 of the 20 races in 2017. Of the nine wins by non-pole sitters, only four started from second, meaning the driver that qualifies second in the current format isn’t challenging for the race win very often. Three drivers won from third, Lewis Hamilton claimed victory in Singapore from fifth and Daniel Ricciardo came through from 10th to win the incident-packed Azerbaijan Grand Prix. 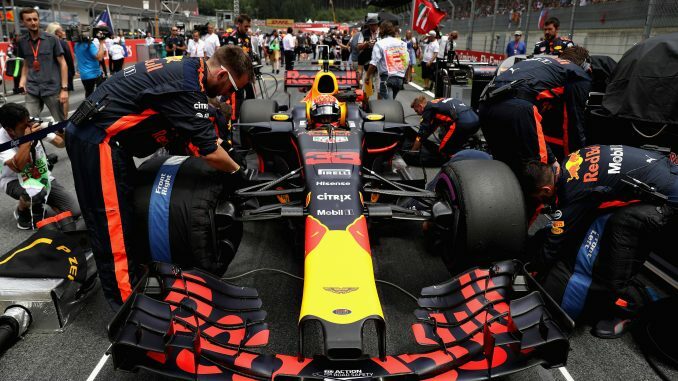 Fans can be critical of the lack of overtaking in F1, and bunching the grid together would certainly give drivers a better chance to make up places in the early stages of the race. It would inevitably increase the chance of crashes at the start, but whether it would make for better racing throughout the entire race remains to be seen.